What’s the best way to clean a hat? It depends on what type of hat it is, how old the hat is (yes, age does matter), the type of hat material, and the level of dirtiness. Once you can account for these details, then you'll be ready to decide which washing method — by hand, washing machine, or spot cleaning — is best for your hat. Look at the label: If your hat has a tag, make sure to read the washing instructions. If it says dry clean only, do it. Don't bother trying any other method, otherwise you could permanently damage your hat. Know your hat's age: If you have a baseball cap, it's especially important to know how old it is. Why? Up until the early ‘80s, most baseball caps were made with cardboard bills rather than today's more durable and washable fabrics such as cotton and plastic forms. As a result, if you have an old baseball hat, submerging it in water would certainly ruin it. If you don't know the age of your hat, play it safe and opt for spot cleaning. Feel the fabric: If you're not sure what material your hat is made out of, take a look at some examples so you have a way to compare. Your hat could be made of straw, wool, cotton, or a blend such as this cashmere and silk cap. Brush up on you lingo: If any terms in this guide confuse you, read our overview on the parts of a hat. Cleaning a hat by hand is generally the most effective way to clean your hat, even if the label says it's safe to put in the washing machine. The types of hats best suited for hand washing include baseball caps (as long as you are not cleaning older hats with a cardboard bill), wool hats and hand-knit hats. Do not ever use warm or hot water as this could cause the color to run. If you have more than one hat to wash, better to be safe than sorry and wash them one at a time. If your hat is really dirty, you may be tempted to add a ton of soap. The goal is not have a bowl full of overflowing suds. Instead, stir in a teaspoon of laundry detergent or dish soap until it's dissolved. 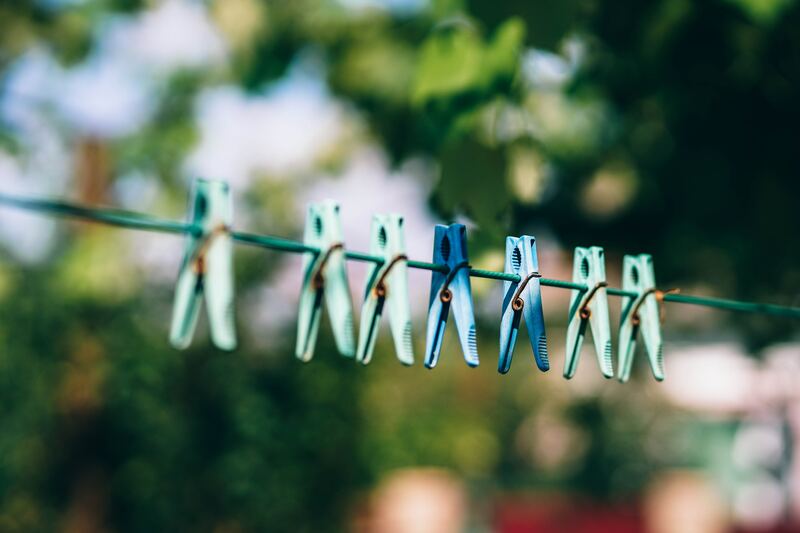 Make sure you use a mild detergent or soap without bleach. (Once again, make sure to read labels.) 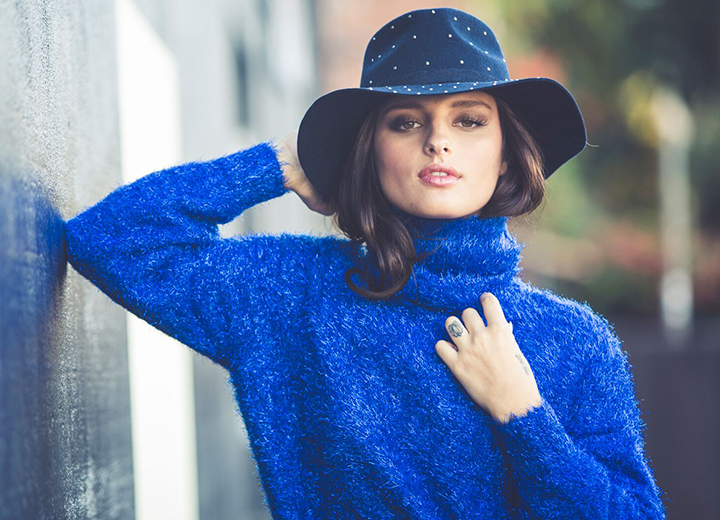 If you have a wool hat, it would be best to use a soap specific for that fabric, such as Woolite. Also, it's wise not to use dishwasher detergent. Even though some say that you can wash your hats in the top rack of a dishwasher, there's no reason to chance it. Before you submerge the whole hat in the cool water, soak a small and inconspicuous part of it for a couple minutes. Check to see if the color bleeds. If you don't see any dye swirling in the water, that doesn't necessarily mean the color isn't running. Try dabbing the hat on a napkin to see if any color comes off. If you don't notice any color coming off, move onto the next step.If you do see some discoloration, opt for spot cleaning instead. 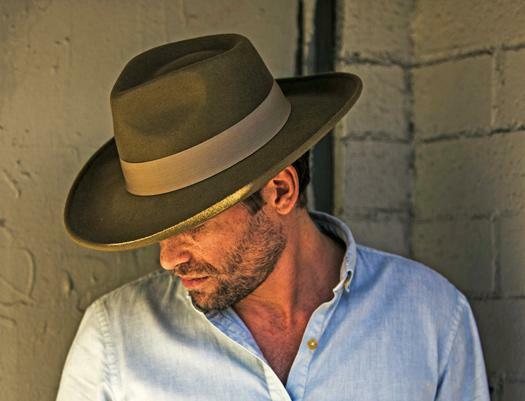 Whether it's your favorite baseball cap or a well-worn wool fedora, you'll first want to give added attention to soiled areas of the hat. This most often includes the sweatband of your hat where body oils, makeup, and sweat stains can accumulate over time. You can either apply the same soap from the bowl or a non-bleach stain remover on the soiled areas with a soft-bristled brush (a toothbrush would work) and allow it to set for at least 15 minutes before hand washing. Once you've determined your hat is not discoloring or showing any other signs of damage, you can soak the entire hat in the bowl or sink. If your hat just needs to freshen up, a 30-minute soak should do the trick. If there is more serious dirt or grime on the hat, you may need to soak it for a few hours. Remove the hat from the soapy water and rinse it under a faucet of cold running water to wash off all the detergent. Hold it between your hands and gently squeeze to remove the excess moisture. Place the hat on a clean towel and pat it down until there is no more water dripping. Do not wring or twist your hat, as this could ruin your hat's shape or cause unwanted pilling. Lay the hat right side up (in its original shape) on a towel in a well-ventilated area. Do not place the hat outside in direct sunlight as this could fade your hat. Do not use a blow dryer as the heat can cause your hat to shrink. 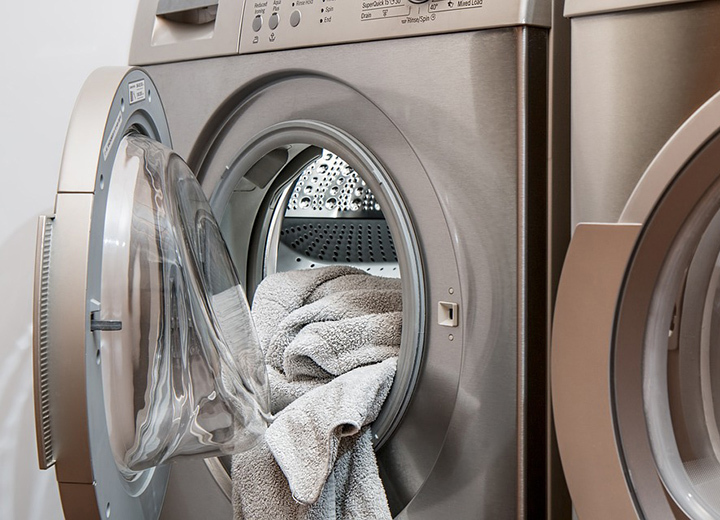 A trip to the laundry room might not seem like a big deal, but if you're including a hat in the load, you'll want to take some extra precautions. Acrylic, 100% cotton, and cotton-poly blend baseball caps are best suited to be washed in a laundry machine. Never machine-wash straw hats, wool baseball caps, and hats made from cashmere, silk, and other delicate fabrics. This is when you can really work on your hat's soiled areas that need the most help. Similar to this step in hand-washing a hat, use a soft-bristled brush such as a toothbrush and gently scrub away the grime. Along with using a mild detergent, you can try adding baking soda if your hat doesn't look as bright as you'd like. Do not ever use chlorine bleach, even if it's a white cap. Even if the label says you can machine wash your hat, use a zippered garment bag as an added layer to protect your hat's shape and color. This will help protect the hat from getting damaged by the motion of the washer. If you wash your hat in high heat it could cause unwanted shrinkage and reshape the hat. Remember to only wash along with similarly-colored clothing. For example, don't wash a red cap with a load of white sheets unless you want to end up with pink sheets! Make sure you set the wash cycle to gentle to ensure that the hat doesn't get damaged with the machine's normal level of agitation. As tempting as it might be to just throw your hat in the dryer, resist the urge. Even drying your hat in low heat can ruin its shape and cause shrinkage. Place your hat indoors on a towel and allow to air dry. To make sure your hat retains its shape, you can put a balled-up towel inside. Spot cleaning your hat is by far the safest method. It requires a bit more patience and won't always remove the most stubborn stains, but it will keep your hat in tact. Summertime straw hats, leather and suede hats, old baseball caps with cardboard bills, and hats made of delicate fabrics are best suited for spot cleaning. While most straw hats today are fairly sturdy, there are some hats that are so delicate not even gentle hand-washing is possible. 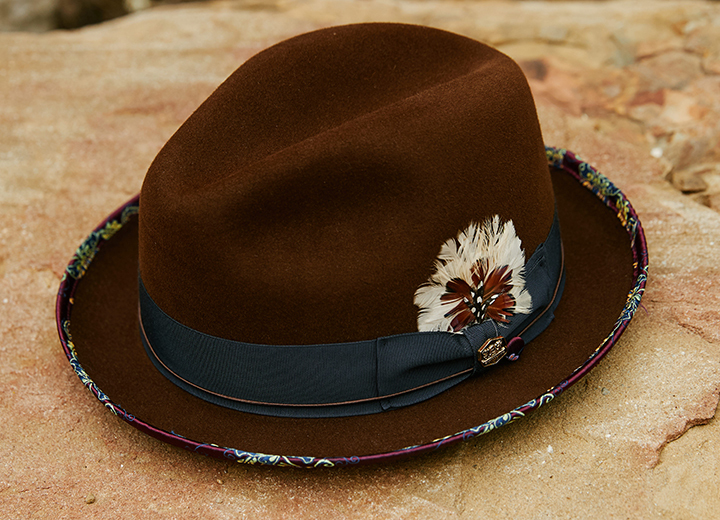 Gently bend the rim of the hat and if it starts to crack, fray or bend too easily, it's too fragile for cleaning. If your hat has any decorative elements such as ribbons, buttons, rhinestones, beads, or leather accents, be sure to handle with care. Depending on the material and fragility, use your best judgment on how to clean them. Sometimes a gentle swipe with a soft cloth is all you need. Dab the dirty areas of the hat with a slightly damp washcloth of warm water and mild non-bleach laundry detergent or dish soap. 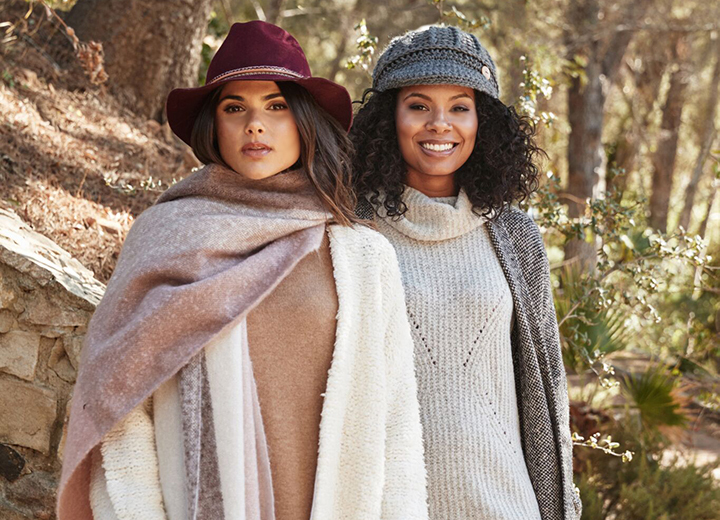 If the hat has some more pronounced stains and can withstand a little more, you can try using a soft-bristled brush like a toothbrush to swipe away the grime. If you are cleaning a straw hat, be careful not to let the straw itself become damp. As with all methods for washing a hat, air drying indoors in a well-ventilated area away from direct sunlight it is the best way to go. Now that you've gone through the steps of cleaning a hat and understand how to determine the best method for different types of hats, you can rest assured that it's not as daunting a task as perhaps once thought. If you properly care for your hat, you can continue to enjoy it for many more years to come.